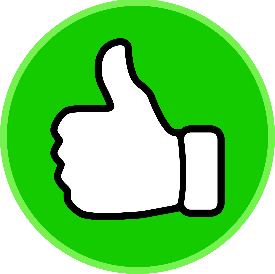 Green Roofing Archives - Beneficial Roofing | VOTED BEST Roofing Company, Call Us Today & See Why! Have you ever looked at your neighbors’ roof and wondered why it’s so shiny? Have you driven through a neighborhood with futuristic-looking roofs and wondered what in the world their roof is made of? While it’s possible that what you saw were solar panels, it could also have been a solar tiled roof. In this article, we will discuss what solar tiles are, what they are made of, how they work and are installed, and a short list of pros and cons. Buckle up and let’s go! What are Solar Roof Tiles? Much like their cousins, the solar panels, solar tiles are thin, photovoltaic sheets that can either replace or lay on top of your shingles. Just like the solar panels, solar tiles harness the energy they create from sunlight to power your home. A very interesting fact for this type of shingle is that it can be installed in any climate. This type of roof shingle is really a testament to how far technology has advanced and opens doors for even more possibilities for the future of roofing. Great question! The sunlight hits a solar shingle that has been coated with a special surface that knocks off an electron from particles of light. Then, the free electron goes through an electrical circuit where other electrons are being stored. This compilation of electrons is then used to generate a current. That is how all our solar electricity works, no mater what form the photovoltaic device is in. They are about 12 inches wide and 86 inches long and weigh about 13 pounds per square foot. The thin-film solar cells are made from copper indium gallium selenide. This is a semiconductor that allows the cells to be thin and flexible. They are usually less than an inch thick, so they won’t look big and bulky like a solar panel. Since these high-efficiency energy savers are so high-tech, it is best to have a professional roofer install them for you. Having a professional do it also helps assure the best return out of your investment. The way they are installed requires a lot of labor and TLC. Your roofer will put in shingle after shingle while wiring each one inside your home. This is a tedious job that should be done ONLY by professionals. There are a lot of permits and paperwork that go into owning solar powered anything. This is something professionals can handle for you, as well as saving you time and energy on doing the project yourself. Pro: Save Money! Like the solar panels, solar tiles will help cut your electricity bill in half, and you may even be able to make money from your electric company for excess power that your roof supplies back into the grid. to futuristic look to them that a lot of prospective homeowners will find appealing. This is something to keep in mind if you envision yourself moving in the future. These tiles are designed to match existing roofing, so they will blend in making a nice finish on your roof. Con: It’s true that solar tiles are quite energy efficient, but they cannot completely compare to the solar panels. Panels can be tilted for best sun exposure whereas tiles cannot. 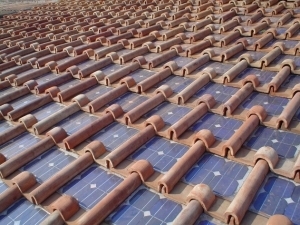 This may result in purchasing more tiles down the line to reach the same energy output as your neighbors with panels. Con: While they will save you tons of money in the long run, the initial cost of installation can be quite a hefty chunk of money. This can cost anywhere from 10k to 20k. However, most states have grant programs to help with initial costs. Ultimately it is your decision whether solar tiles are right for you. We would be more than happy to help you with your home improvement journey, so call us today! There are 4 main types of solar energy; electric systems, solar hot water, solar pool heating, and concentrated solar power. 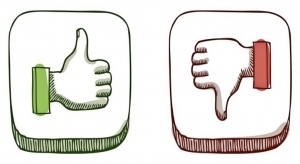 It’s important to know what kind of technologies are available to choose the best one or more for your home and family. California is the leading state in solar power jobs and solar energy use, followed by Arizona and North Carolina. Solar electric systems, or sometimes referred to as photovoltaic panels (PV), are the most common type in California. They capture and convert the sun’s energy into electricity through the photovoltaic process. Solar hot water panels, or domestic hot water (DHW), is a very accessible technology that can provide your home hot water with just 2-4 panels installed. This water can be used for all your needs, including laundry, dishes, and showering. This technology is well-established, having been used in Southern California since the 1900s. Solar pool heating is another option for pool owners. You know owning a pool can become costly and using solar energy for it can make this luxury more affordable. It is the simplest technology of them all. It simply pumps your pool water up to the panels on your roof, of which the sun is beating down on, soaks up the warmth, and heads back to its original body of water. Concentrated solar power, or CSP, is actually the conversion of thermal energy (heat). It’s not for the typical consumer, but a larger installation such as a utility company itself. Thousands of mirrors direct the sun’s rays to one point of concentration, and that heat is used to power a steam turbine system that converts it to electricity. It’s most publicized use is at Mohave Desert’s Ivanpah Solar Energy Generating System where the energy from its CSP system is expected to power 140,000 homes. Solar energy is an affordable energy supplement that saves you a substantial amount of money and is more gentle on the environment than traditional energy. You can save as much as half on your energy bill and the installation itself is often covered by government incentives. Not only this, but its growing popularity and technology development is driving its product and cost down, so that it will become more and more accessible and affordable. Having solar energy systems installed can also increase a home’s value or entice home buyers, especially first time home buyers who are trying to be financially conservative and looking for a turn-key type home. Since California has invested so much in solar energy, the state added about 2740 megawatts of energy in 2013, enough power to give energy to 600,000 homes. Imagine what that statistic is today. Each state has its own incentives about installing more sustainable energy technology. Currently, a Federal tax credit is being offered on technology purchases made before December 31st, 2021 and you can search ‘solar energy incentive map’, click on your state, and see what local incentives you can take advantage of. You can also streamline your research by contacting a local solar energy installation company. They will be able to assess your situation and make recommendations based on your home and its past energy bills, as well as point you in the direction of technology vendors, and the most current incentives and promotions. What are Roof Stains & How to Remove Them! Do you have stains on your Roof? If So, here is how to get rid of them.. The common cause for roof staining is from organisms like moss, lichens, and algae. These organisms are known to feed off the organic roof material in shingles. The longer it is left untreated, the worse the damage to roofs. This is why removing stains should be a priority for homeowners. Roof stain is essentially fungus and mildew spores which are embedded in the shingles from nearby shrubbery, trees, and plants. All roofing are vulnerable to stain damage and that is why it is important to know how to remove roof stains and maintain them. Home owners who would like to make some savings on roof stain removal cost can resort to DIY solutions. But before we start we want to warn you that climbing onto your roof is extremely dangerous and it can cause injuries if you are not careful. This is especially with houses that have large roofs. The requirements include non-corrosive and non-toxic roof cleaning chemical, a garden hose, a garden sprayer and a full-body harness. Special tool applicators and even rinsing tools may be required for severe roof staining. The roof cleaning product that is selected should be safe for the environment and non-corrosive. There are a good number of brands available in the market to this regard. The ideal day to remove roof stains is a cool/ overcast day that is characterized by little to no wind. This will allow the spray to properly hit the shingles. Furthermore, the cleaning solutions can only soak deeply into the numerous algae colonies in such weather conditions. It is equally important to properly prepare the roof stain removal area by cleaning the downspouts and gutters, repairing any loose flashings or shingles. This is what will allow the roof stain-cleaning chemicals to drain freely. Lawn furniture should be moved and vegetation covered to protect them from inevitable overspray. Good preparation work is necessary as it significantly reduces the cleanup time and effort that would have otherwise been used later. It is advisable to work from the bottom row and slowly work your way up to the roof peak. The cleaner should be sprayed on the shingles to the point of saturation. 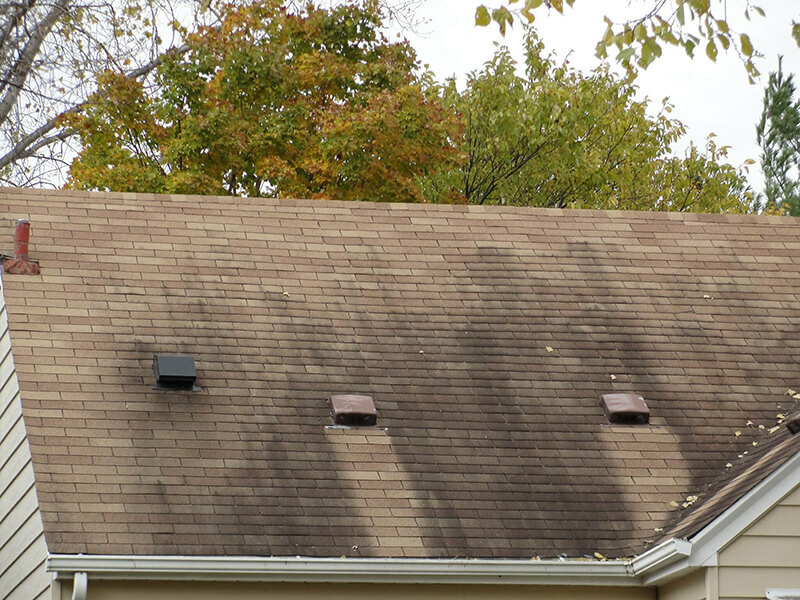 Any areas of the roof that dry out in the process should be sprayed again immediately. This technique requires the use of high-grade eco-friendly products. It produces complete and instant results. The technicians of roof cleaning companies use equipment that is precisely designed for gentle and safe roof cleaning. This method employs the use of sodium hypochlorite (chlorine bleach) mixed in very high concentrations of trisodium phosphate (TSP). This is sprayed on the roof and left to dry. The results are not immediate because the stains take some time to come off. It is affordable compared to other methods. This method is used by a few roof cleaning contractors. This particular technique of removing roof stains is not very effective because it may leave behind root systems and this leads to a quick return of algae. This can be done with your regular inspections to make sure those pesky algae won’t come back. Removing roof stains is an inevitable home improvement and maintenance exercise. This is why it is important to hire qualified contractors like us to undertake it. You’ll save not only time but money in the long run because maintaining good roof in an investment. Well-maintained roof means higher resale value if ever you want to sell your house in the future. Call Beneficial Roofing today for a FREE Roof Estimates. And we will make sure to remove all those roof stains that ruin the image of your home. https://beneficialroofing.com/wp-content/uploads/2017/06/Beneficial-roof-algae-streaks-2.jpg 575 1021 Ariel Federico https://beneficialroofing.com/wp-content/uploads/2017/01/Beneficial-Roofing-Website-Logo-1030x427.png Ariel Federico2017-11-01 15:06:562017-11-01 15:06:56What are Roof Stains & How to Remove Them! Is Solar Roofing Right for Your Home? Your roof is a simple, yet valuable investment for your home, as any reputable roofing company will tell you. The roof’s sole purpose is to keep your home safe from the wind, water, and the sun. What if the sun could be converted into a natural resource for your home? That is the purpose of solar roof panel shingles: to turn this sustainable resource into energy. But how do you know if such an investment is right for you? 1. You are a permanent resident in your home and plan to live there for many more years. 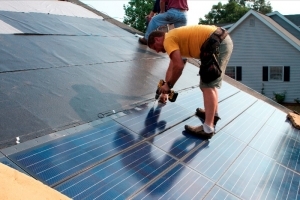 Solar shingles are a large investment. Homeowners who intend to live in their home for many years to come will often find that the purchase of solar shingles will benefit them in the long run. Depending on where you live, your home might fall under the purview of a homeowners association. If this is the case, you might want to check with the organization to make sure that solar shingles will not violate any restrictions or rules. Some gated communities may not allow solar panels of any kind. Other HOAs may have restrictions about the types of shingles you may use. Be sure to check with your local association if you have one when working with your roofing company. While the idea of solar shingles as part of your roof’s single system may appeal to you, they would serve no purpose if your home is in the constant shade or only gets sunlight for two or three hours per day. If your home has high exposure to the sun’s rays from the south, it might be a prime candidate for solar shingles on your roof. If you own a home and want to tap into this precious natural resource, look into solar shingles . These are a smooth and aesthetically pleasing alternative to regular, large solar panels. If you have questions or want to try solar shingles, Beneficial Roofing is the premier roofing company in Cumberland to offer the service. https://beneficialroofing.com/wp-content/uploads/2017/02/PV-solar-roof-shingles-2.jpg 997 1500 user https://beneficialroofing.com/wp-content/uploads/2017/01/Beneficial-Roofing-Website-Logo-1030x427.png user2017-03-07 15:52:072018-12-13 18:23:16Is Solar Roofing Right for Your Home? What Is A Living Roof? A living roof, or sometimes called a green roof, is a roof covered by a waterproofing membrane and then covered partially or completely by vegetation and growing mediums that retain water and transfer it back into the atmosphere through natural means. Installing green roofs conserve a notable amount of energy, but have additional benefits such as beautifying a building and increasing it’s value and improving the air quality around it, among other things. Commercial building owners as well as homeowners can benefit from installing a green roof. Aside from being a green concept that keeps other roofing materials out of landfills and has its own recycled products, the green roof can save you money on your energy bill. Roofs are the main culprit for retaining unwanted heat in the summer and letting wanted heat escape in the winter. With a green roof, you can expect a significant drop in your air conditioning needs (up to 75%) and heating as well. This is because the plants absorb the heat. Rain and storm water is also absorbed by the substrate, then sucked up by plants that need it, and evaporated back into the atmosphere. This reduces the risk of water damage, and slows the run off process and purifies the water naturally on the way down. Having a green roof also improves the air quality and reduces electromagnetic radiation tremendously (some studies report up to 99.4%). The plant matter acts as a natural fire retardant and can save a home significant damage if this unfortunate event occurs. The attraction of the green roof for commercial buildings is on the rise, due to city planning trends and goals. The industry could expect a lot more jobs made to meet the demand of people wanting these energy efficient and meaningful statement roofs. A living roof or green roof goes by even more names. You might hear it being called a roof garden or a garden roof as well. Like the tiny house movement, there are endless possibilities for design. Roofs can be designed with aesthetics heavily in mind, or made of plants chosen for different purposes. Some look covered in strictly grass, others spotted with flowers, some even have small trees. Some look tightly groomed and others, wild. In some cultures this clever roofing is as old as the 19th century. Sod roofs were the most common roof type in Scandinavia at the time. They were made of loose roof boards covered in layer upon layer of birch bark and sod as the final layer. Green roofs today might employ additional modern technologies to care for the roof such as drainage and irrigation systems. Unlike a traditional roof, the green roof when properly cared for, can last you 35-50 years or more. If you’re interested in green roofing, you should know that in most cases you will need a permit to make one. Some people require the guidance of a landscape architect or architect and a pre-evaluation to determine whether your roof is strong enough to support a living system. You’ll be happy to know that you can start small. Many people try it first using a small building such as a garage or shed. If you try it out and decide it’s not for you, you’ll still have a beautiful sight to see on your property. https://beneficialroofing.com/wp-content/uploads/2017/03/1280px-Awesome_Green_Roof.jpg 850 1280 Ivy Brooks https://beneficialroofing.com/wp-content/uploads/2017/01/Beneficial-Roofing-Website-Logo-1030x427.png Ivy Brooks2017-03-02 20:38:102017-03-02 20:38:10What Is A Living Roof?